phpBB 3.0.8 0 out of 5 based on 0 ratings. [PHPBB3-5164] - Honor minimum and maximum password length in generated passwords as much as possible. [PHPBB3-7720] - Fix alternative image-description for unread posts. [PHPBB3-9012] - Retain original topic title in shadow topic when moving a topic and editing the title. [PHPBB3-9094] - Hide "Copy permissions" message, when permissions were copied. [PHPBB3-9104] - Safari does not display box headers correctly in the ACP. [PHPBB3-9135] - Fix report-icon for moderators in PM folders. [PHPBB3-9147] - "Change topic type"-option "Normal" always selected. [PHPBB3-9162] - BBCode in poll options is broken, when posting without question. [PHPBB3-9170] - Unable to get image size in img bbcode when URL has multiple parameters. [PHPBB3-9512] - Fix dead link in MCP on reports for global announcements in prosilver. [PHPBB3-9519] - Replace remaining is_writable() calls with phpbb_is_writable(). [PHPBB3-9531] - BBCode-less fall back option for quotes is missing "Author wrote:" line when quoting from topic-review. [PHPBB3-9547] - Changing forum type applies FORUM_FLAG_ACTIVE_TOPICS to new forum type. [PHPBB3-9587] - Prosilver overrides reCaptcha class. [PHPBB3-9605] - Wrong class added to topiclist, when there's no announcement topic. [PHPBB3-9626] - Regular expressions from get_preg_expression() are untested. [PHPBB3-9635] - Useless parameter $data['post_time'] in function submit_post. [PHPBB3-9677] - Subsilver2 is missing the bbcode-helpline for inline-attachments. [PHPBB3-9678] - Flash attachments are not displayed in subsilver2. [PHPBB3-9697] - Backlink broken when the select parent forum does not exist. [PHPBB3-9712] - Future dates display as "less than one minute ago"
[PHPBB3-9743] - Fix background-position of top2-class in prosilver for RTL-languages. [PHPBB3-9744] - Mistyped word 'then' in FAQ. It should be 'than'. [PHPBB3-9780] - gen_rand_string() not respecting $num_chars parameter anymore. [PHPBB3-9793] - Undefined function send_status_line() in download/file.php when in avatar mode. [PHPBB3-9822] - Can not delete style-components from the file-system as per explanation. [PHPBB3-9841] - Change "Save" button to "Save draft"
[PHPBB3-9885] - Default file extension groups not properly updated by database updater. [PHPBB3-9578] - ACP Posting tab is missing "Post settings" module. [PHPBB3-9777] - Print useful error message in pre-commit hook when php is not installed. [PHPBB3-9511] - View note for moderators on unapproved posts/topics with unapproved posts in ATOM Feed. 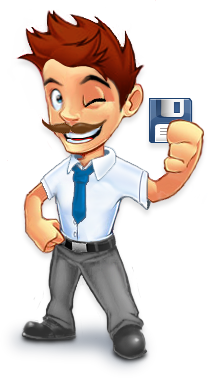 [PHPBB3-9848] - Add phpBB data files to .gitignore. [PHPBB3-9857] - Remove visible $Id$ from docs files. [PHPBB3-9517] - Remote avatar upload does not check the filesize before and during transfer. [PHPBB3-9613] - Implement a load switch for unreads search feature.